The Greater Sarasota Chamber of Commerce and Insignia Bank presented PayServ Systems with the Insignia Award for the month of July 2015. This award recognizes the achievement of quality customer service and commitment to the community. 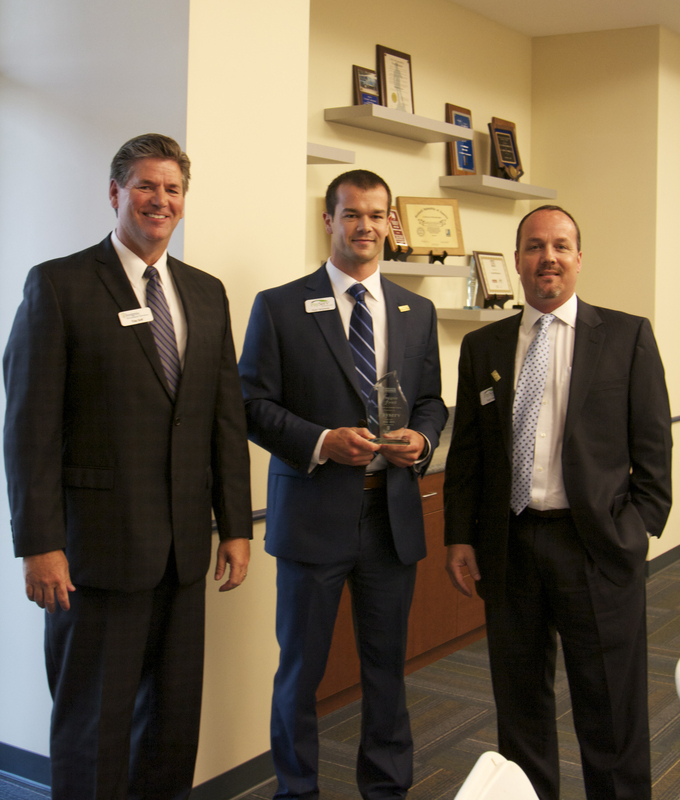 Ryan Hargraves from PayServ Systems accepts the July 2015 Insignia Award from Tim Self. If you ask employees at PayServ Systems what customer service means to them, they will point you in the direction of their company mission statement, which describes a customer-centric mindset committed to ‘humble excellence.’ From email signatures that encourage feedback to benefits and services that grow along with a company, PayServ’s innovative techniques and commitment to customers has enabled them to expand their services nationwide, with offices now open in Indianapolis and in Sarasota. We congratulate the entire team at PayServ as our July Insignia Award Winner for their exemplary customer service and commitment to the Sarasota community. Do you provide excellent customer service? You could be our next Insignia Award Winner. Learn more.